Few people enjoy listening to creaking parquet. Meanwhile, this is a fairly common phenomenon, and the reason for it in most cases is the uneven foundation of the floor. 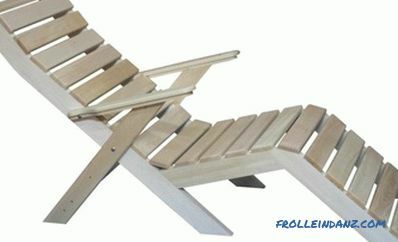 Any, even the most modern and expensive coating can be deformed, cracked, collapse, if you lay it on an uneven basis. Among the many ways of leveling the base flooring plywood is perhaps the most affordable and least expensive. Another advantage is that there is no need to attract assistants, the work can be done on your own. Leveling the floor with plywood is the most convenient and least expensive method among others. Plywood is subdivided into 4 grades, 4 grades and 3 grades. It is produced from veneer of coniferous or deciduous trees and, depending on the type of raw materials, is coniferous or birch. For flooring the best option is birch plywood of the second grade, brand FK (based on carbide resins), ground on one side. Before you begin to repair the base with plywood, it is necessary that it is sufficiently dry, especially if it was brought from the street. 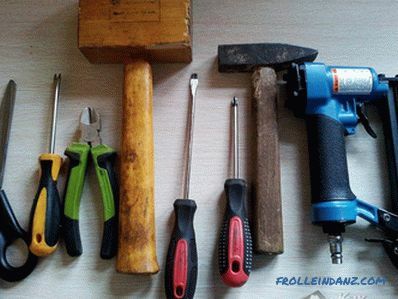 a power tool (perforator, drill, screwdriver, electric jigsaw). Important note: when working with manual and power tools it is always necessary to strictly follow the safety instructions! The most common problems with deformation occur in plank floors. Over time, gaps appear between the floorboards, and other defects appear, caused by uneven drying. It is difficult to lay a coating on such a floor that requires a smooth base, for example, a laminate. 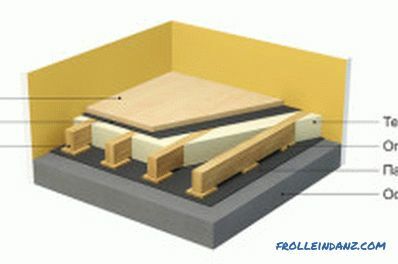 In this case, flooring with plywood is the most suitable option for repairing the plank foundation. Floor covering scheme with plywood. Before starting work, you need to make sure that the floorboards are in satisfactory condition. 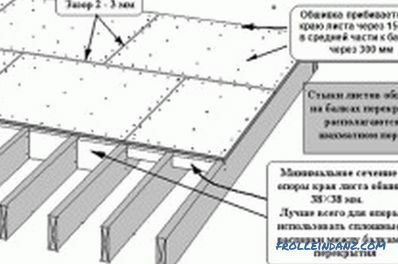 If there is a creaking of the floorboards or the boards are not well fixed, it is necessary to eliminate these defects. If the height difference between the floor boards is no more than 5 mm, then the plywood can be laid directly onto the plank base, securing it with self-tapping screws. For a stronger connection with glue screws, they also use glue. The thickness of the plywood sheets should be 8-12 mm. In the case when the difference in height between the floorboards is from 1 to 8 cm, a sheathing device is required for laying plywood on the floor. To create crates used slats. 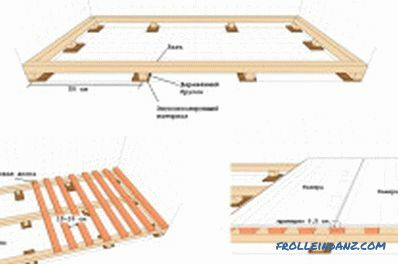 Cell sizes are usually 40x40 cm or 60x60 cm, depending on the thickness of the plywood to be laid. The joints of sheets of plywood when laying should fall on the slats. This will add design strength. In order for the floors to become soundproof, the space between the board flooring and the plywood is filled with mineral wool. It should be noted that the thickness of plywood placed on the crate should be from 16 mm or more. 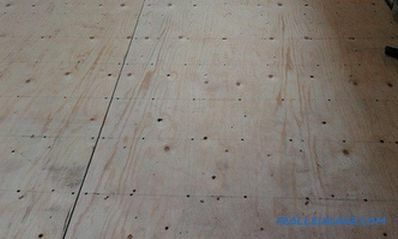 It is possible to install a plywood subfloor directly on a concrete screed. To do this, you must comply with several conditions of repair. Flooring plywood on a concrete base. The concrete base should not have significant irregularities, should be clean and dry. The humidity of the base is one of the most important moments in the work on the flooring of plywood. From this indicator depends primarily on the life of the plywood coating. 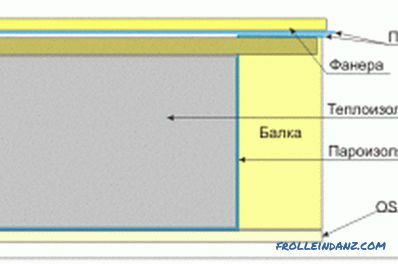 There is a fairly simple way to check the moisture content of the base: a piece of plastic film with an area of ​​approximately 1 square. m laid on a concrete screed and pressed down on the perimeter, leaving the middle of the free. If after 3 days no condensation has formed under the film, it means that the base is quite suitable for plywood flooring. Before laying plywood sheets should preferably be treated with an antiseptic. This measure will help prevent rotting plywood, mold. In order to lay the plywood on the concrete floor, you will need a hammer drill, dowels, glue, electric drill, jigsaw. 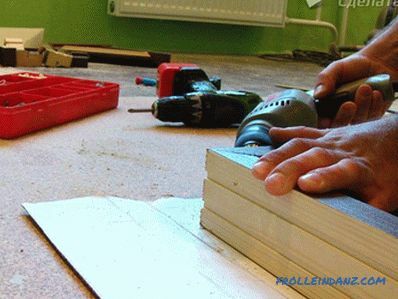 To make it more convenient, especially when working independently, it is better to cut a sheet of plywood into four parts, approximately 75x75 cm. The surface is treated with glue. For gluing plywood to a concrete floor, usually either two-component glue, or solvent-based glue, or water-based glue are used. When using the last two options requires the use of dowels. The plywood sheet is laid on the base treated with glue. A hole is made through plywood in a concrete screed with a thickness equal to the thickness of the dowel. In plywood in this place is done sweat to hide the screw cap. A dowel is inserted and a screw is screwed. Screws are screwed in steps of 20 cm. The surface is well ground. At the end of the flooring, the plywood must be checked for evenness using the building level. 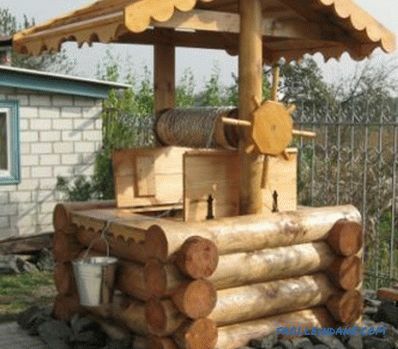 The device of the plywood floor on the logs is one of the most time-consuming ways to repair. But the time spent and money are more than offset by the result. You can lay any floor covering on a flat, solid surface: laminate, tile, linoleum and more. 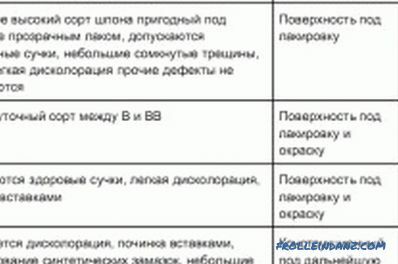 The requirements for the base are the same as for the repair of the concrete floor described above. For arranging the floor on logs, in addition to plywood sheets and the necessary tools, well-dried wooden blocks will also be needed. It is desirable that they were made of coniferous wood. 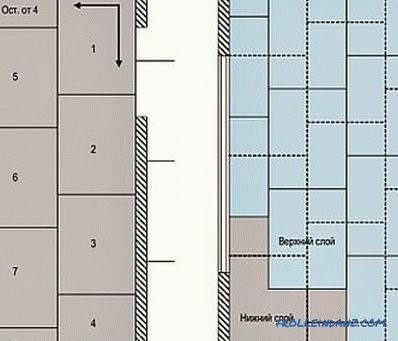 The dimensions of the section bars from 40x40 mm to 40x100 mm. Lining pads will also be required. And, of course, a large stock of patience. In any repair, as a rule, an important role is played by the markup. In order to get a high-quality plywood base for flooring, this issue must be taken very carefully. After the measurements of the height of the future floor, wooden plates are laid on the prepared concrete base and fixed, which will serve as substrates for the log. Attach them to the concrete base with plastic dowels and screws. Substrates are arranged in increments of 50 cm. Then a lag is mounted around the perimeter of the room. It is necessary to leave a gap of about 30 mm between the lags and the walls. This is done in order to avoid deformation of the floor when switching off the heating or when changing humidity, temperature in the room. Then transverse lags are laid. The accuracy of the installation log is necessarily controlled by the construction level. 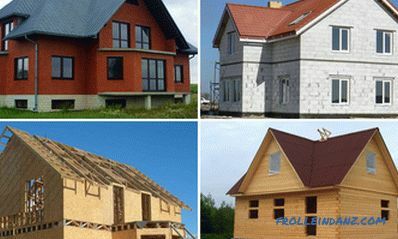 After that, you can proceed to the installation of pre-prepared plywood sheets. As with laying on a concrete screed, plywood is laid with offset and with preservation of gaps of 3-4 mm. During the installation process, insulation can be laid between the lags. As a result, the insulation and sound insulation of the floor will significantly increase. If you follow all the technological details, choose the right material, know how to use the tool and add to this desire, you can finally make a good, high-quality base for the floor, on which it will always be nice to walk.